A key event for foodservice professionals at all SIAL shows, La Cuisine is a teaching area where top chefs provide culinary demonstrations. 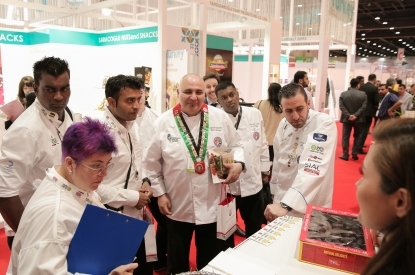 La Cuisine at the Middle East event is by far the largest feature at any SIAL event, hosting in excess of 1,000 chefs from all over the UAE and senior chef judges from across the world. 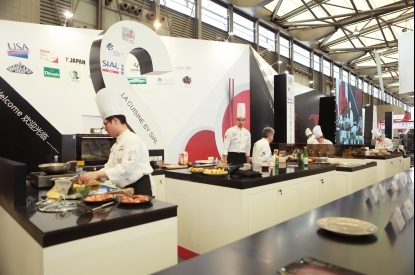 In 2015, with continued support from Emirates Culinary Guild (ECG) and World Association of Chefs societies (WACS), La Cuisine has doubled in size. Find La Cuisine at SIAL Middle East held at the Abu Dhabi Exhibition Centre (UAE) from 10 to 12 December 2018. In 2015, La Cuisine delighted attendees with in-kitchen demos by notable food service professionals and some famous Chefs such as Chef Juna, Chef Vindex, Chef Degan, Chef Henry Bloem, Chef Stefu Santoso, Chef Beng, Chef Muto, Chef Haryo Pramoe, Chef IB Parwata showcasing their culinary prowess by expertly preparing sumptuous recipes to the delight of the audience. SIAL InterFOOD also presented Baking and Cake decorating stages with Chef Yongki Gunawan, Chef Gori, Chef Lanny Soechan, Chef Asep Kusno, Chef Yuliana Bisri, Chef Cessar, Chef Nyonya Liem, Chef Beng, Chef Juliana Jiu Dias, Chef Timothy and exhibitors. SIAL InterFOOD further hosted Cooking Competition, Classic Bartending Competition, Flair Bartending Competition, Service Rally Competition, Indonesia Barista Championship, Indonesia Latte Art Championship, Indonesia Brewers Cup, Indonesia Cup Tasters Championship, Cake Decoration Display and Demo Gelato. In 2017, the competition was endorsed by the World Association of Chefs Societies (WACS) for its 4th year and organized 8 teams from Korea, Malaysia, Spain, Beijing, Dalian, Shanghai, Taiwan, Xiamen to compete for the champion. 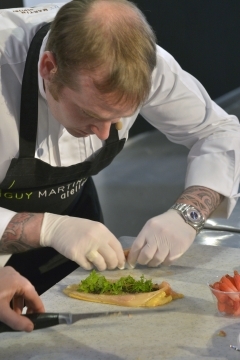 Each team consisted of 3 highly-skilled chefs and was required to complete themed dishes on-site. After 2 rounds of multiple themes, the Taiwan team topped all the other teams and won the honor of “Top Chef” with great acclaim.